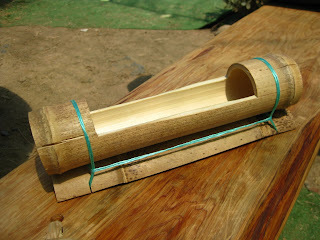 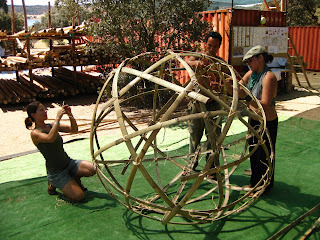 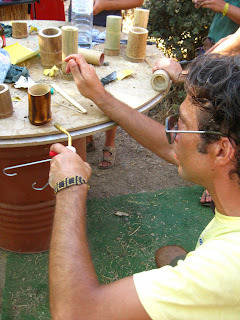 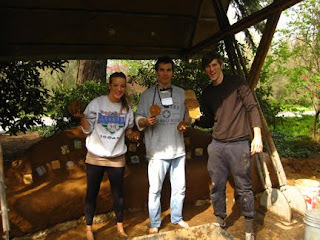 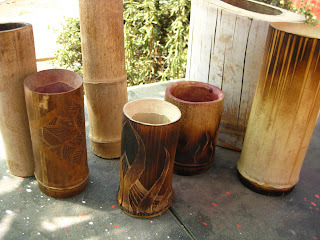 Making bamboo cups and hosting a workshop so that everyone could have a re-useable, easy to distinguish drinking cup. 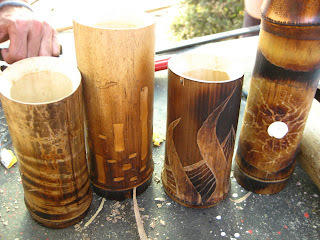 Carving and burning bamboo gives some really neat effects! 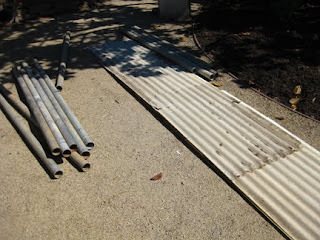 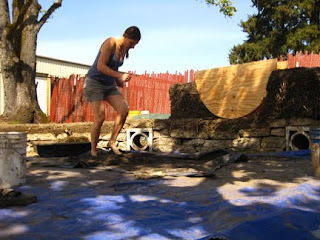 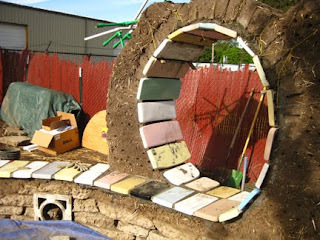 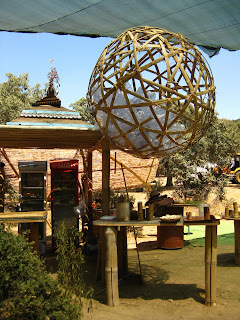 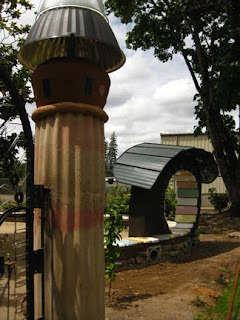 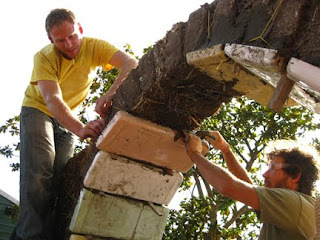 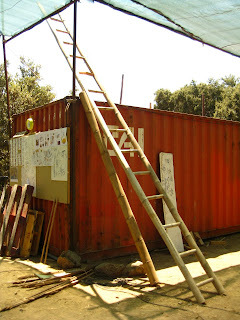 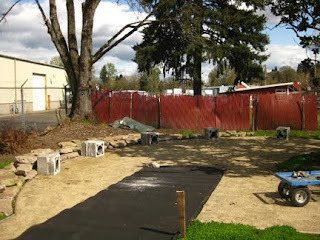 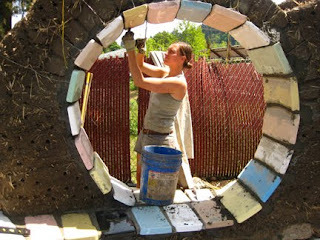 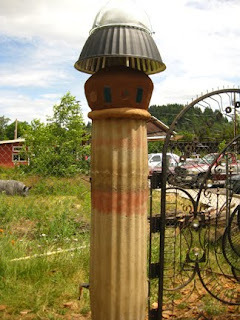 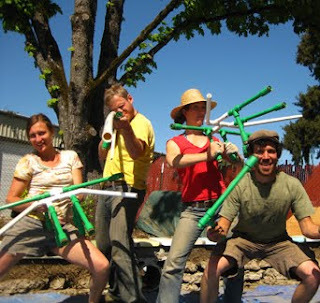 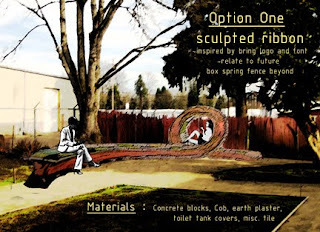 Alright, pop quiz, so what can you make with steel pipes, and some scraps of plastic corrugated roofing? 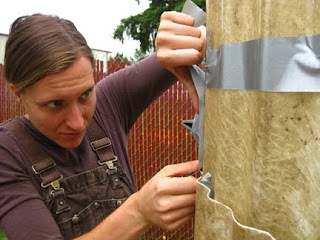 okay, okay, and a bunch of duct tape? 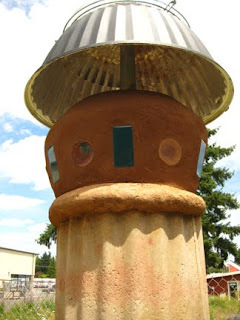 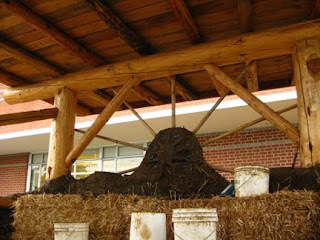 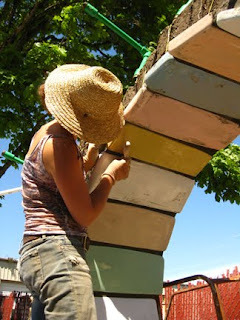 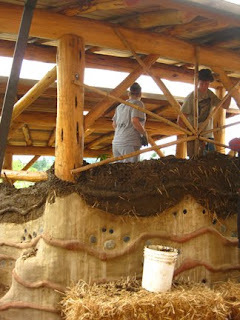 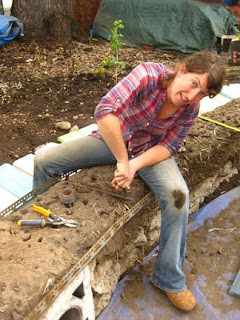 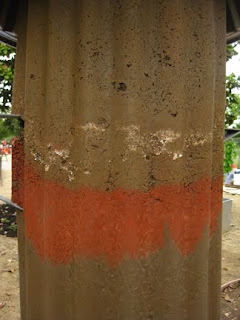 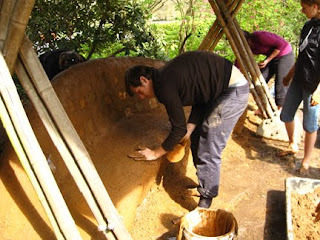 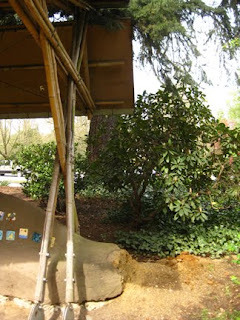 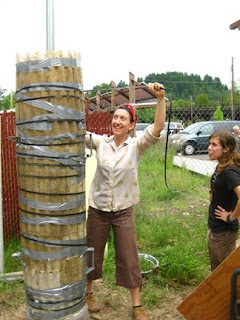 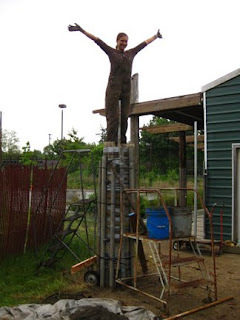 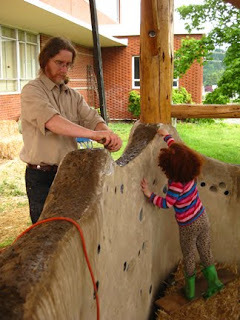 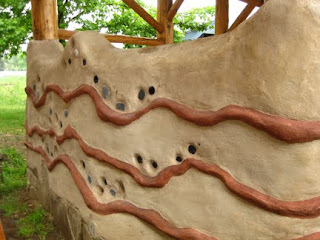 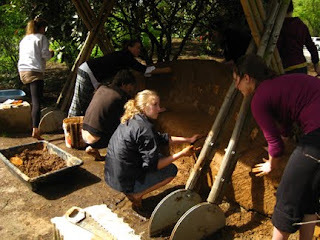 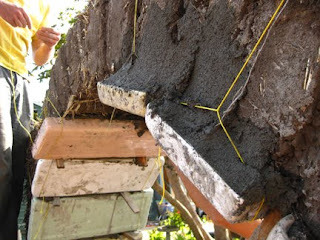 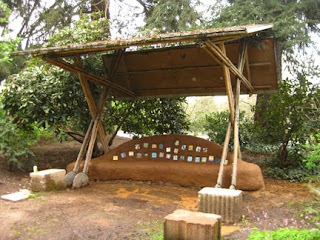 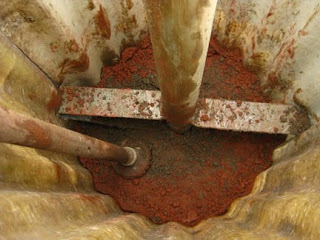 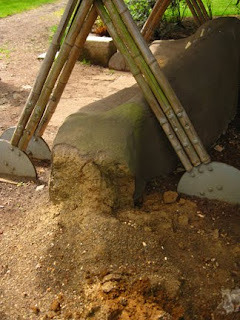 Answer: A fluted column form for a site-based, rammed earth experiment! 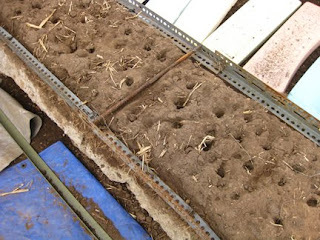 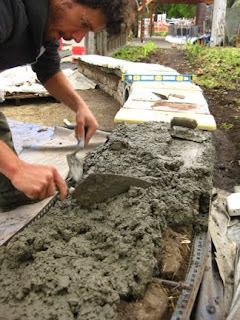 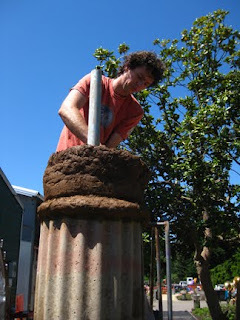 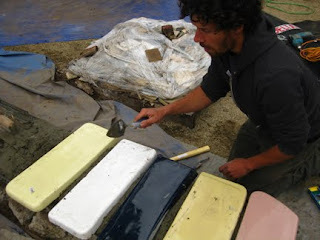 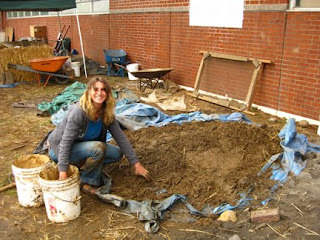 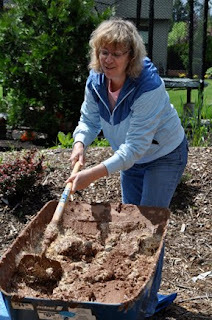 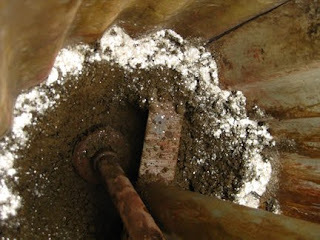 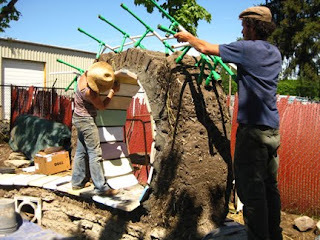 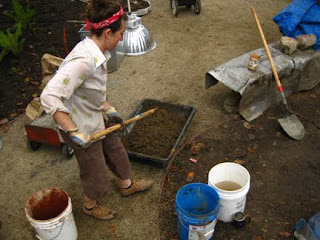 After reading all the books I could find on the subject and doing small batch tests with the local soil, I design the mix to be 16 : 3 : 1 (site soil, mason's sand, cement) for the optimal compressive strength and a finish that I won't have to plaster yet still withstand the elements. 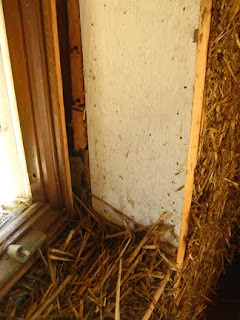 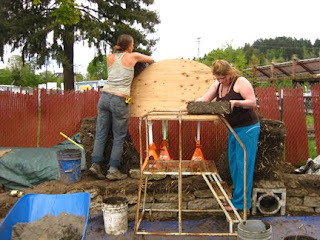 We weren't entirely sure if the whole thing wasn't just going to collapse actually when we took of the form the following day. 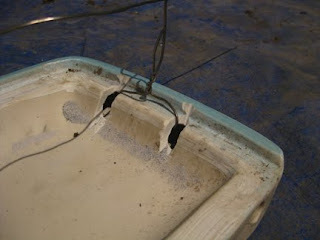 But it worked great! 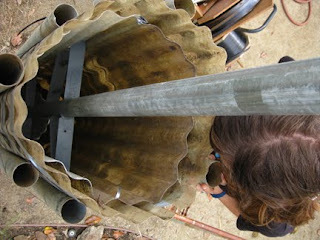 A huge light reflector serves as the roof and gives a 3" overhang around the whole thing. 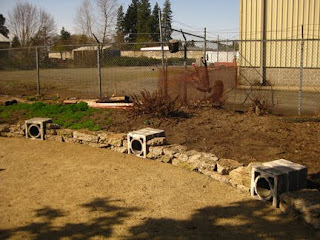 Welcome to the BRING Planet Improvement Center! 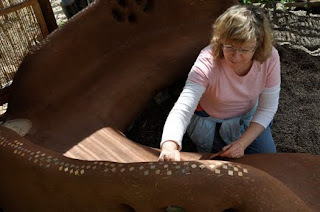 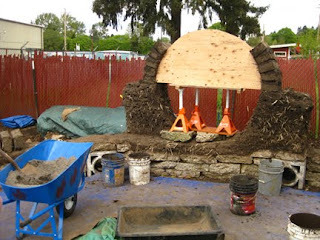 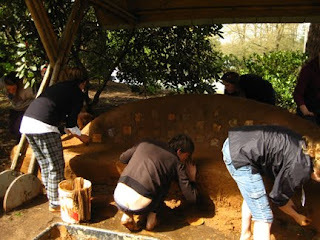 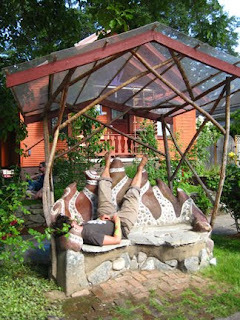 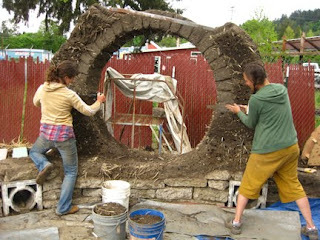 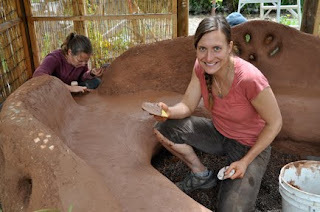 I'm building a piece for their sculpture park called the Garden of Earthly Delights. 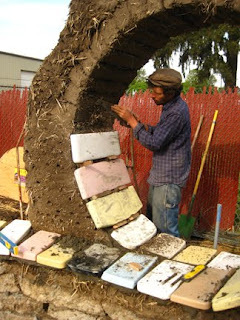 It's a totally ground-breaking, never been done before that I know of, cob-adobe hybrid spiraling loop-de-loop... yes, all that and some. 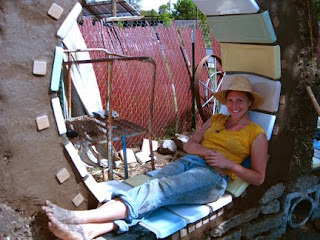 with a gravel bed below and reclaimed chimney bricks every 8 feet. 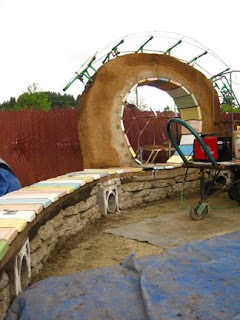 Something had to break up the 50' long curved bench. 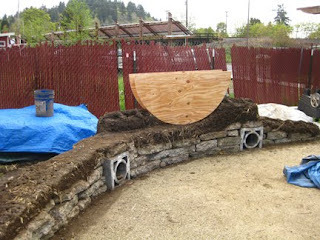 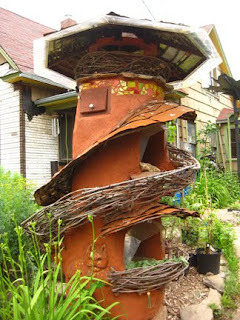 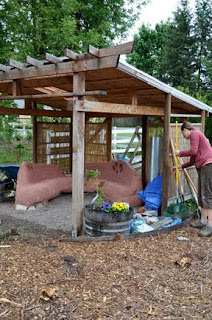 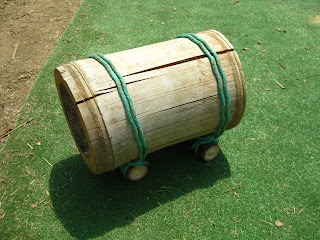 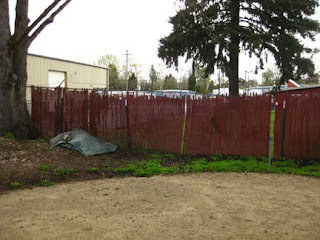 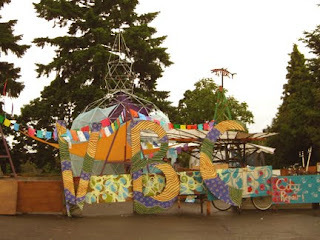 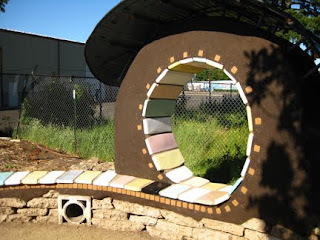 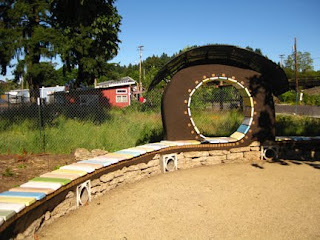 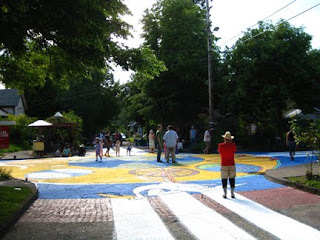 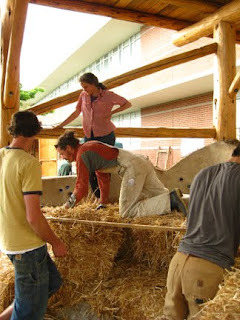 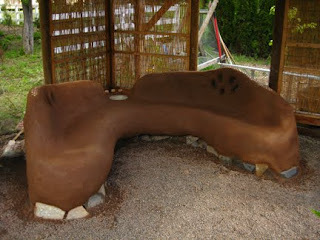 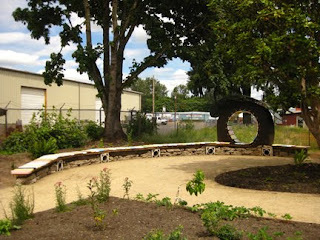 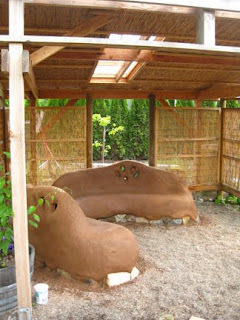 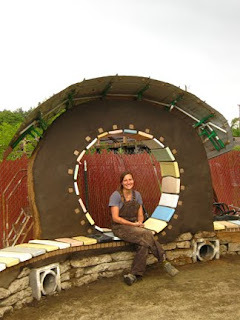 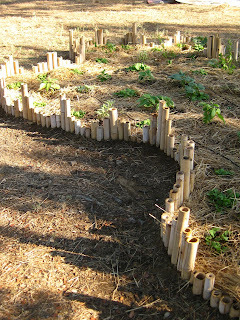 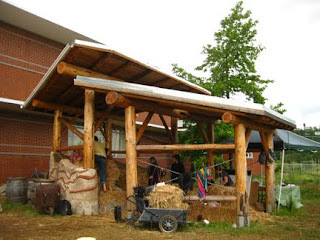 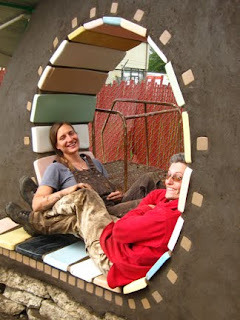 The gently curving part is intended for classroom style seating when BRING wants to host groups to learn about sustainability, salvage and using reclaimed materials. 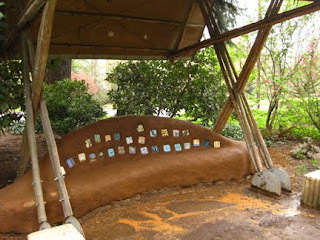 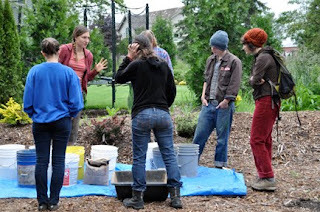 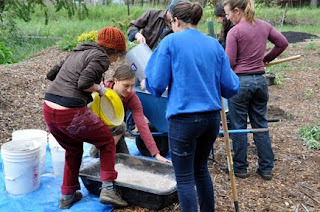 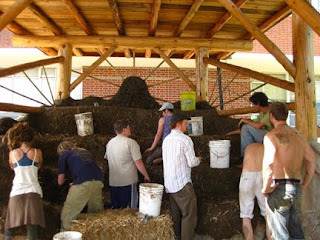 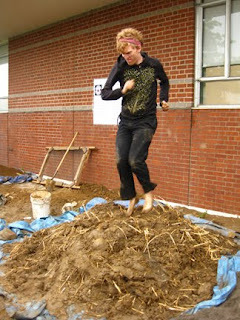 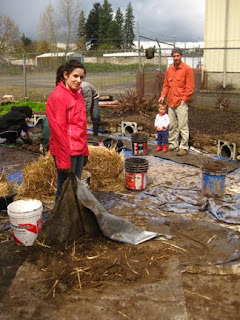 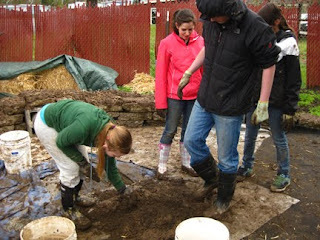 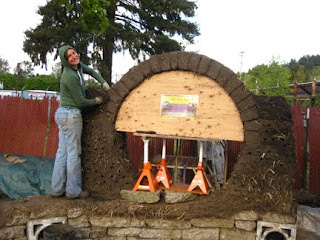 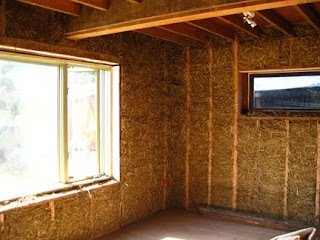 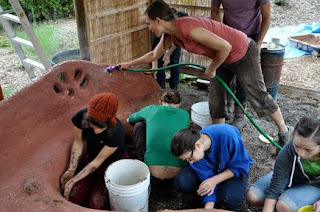 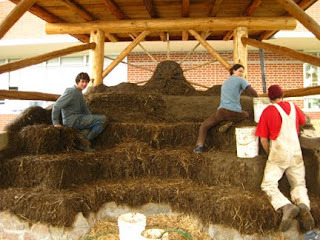 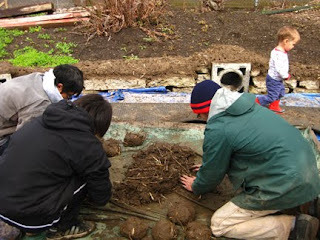 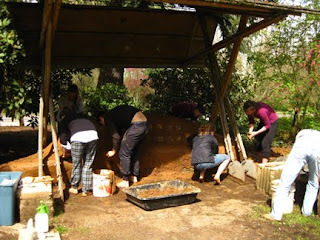 A group of high school students spends their spring break getting muddy and learning about how to build with cob. 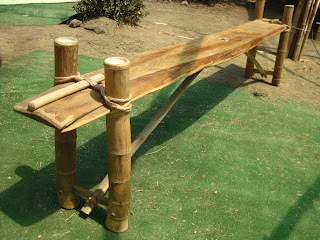 We finish most of the length of the bench that week. 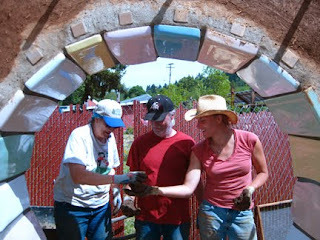 making arches is a total blast! 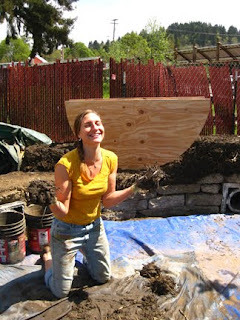 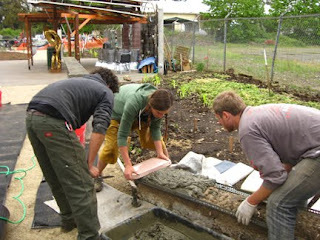 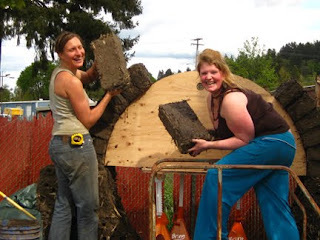 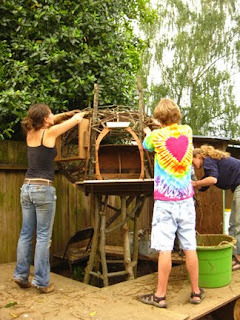 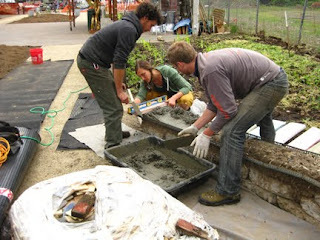 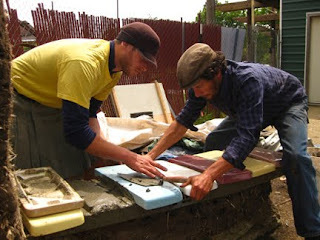 More builder friends join in to help with the integral roof/bench surface. 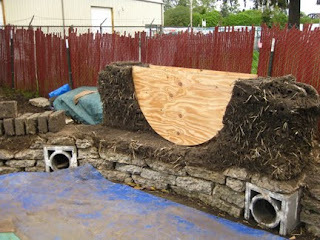 We're using toilet tank covers to protect the cob. 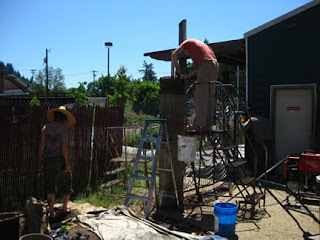 We debate it for a long while and decide to go with a salvaged steel armature to support the overhang of the toilet tank covers. 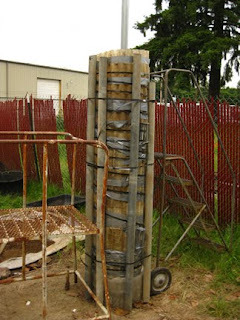 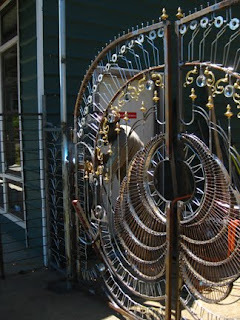 It's totally great working at a salvage warehouse, all materials right on hand! 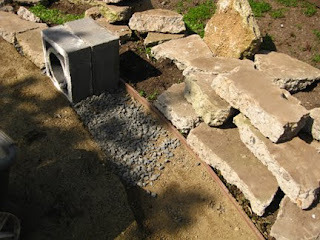 Each piece is slightly sloped to the rear to drain. 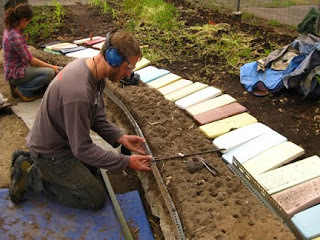 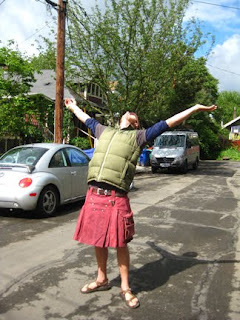 Ethan Rainwater, the Garden Designer is happy with what we've created. 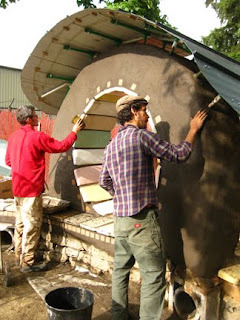 some finished shots, with two coats of linseed oil, this thing looks an awful lot like a chocolate frosted donut... complete with sprinkles! 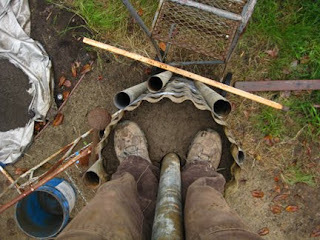 quite like I thought it would be!